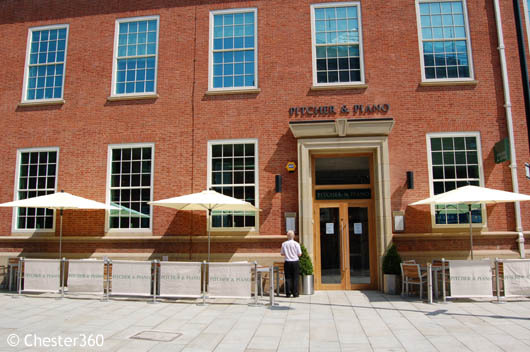 Pitcher & Piano Chester, serving good food, light bites, drinks and a menu of cocktails. With a brand new, smart interior and outside tables for the summer. Marston's Brewery have transformed this old building into what is sure to be a popular venue. Located next to Chester's amphitheatre ruins.